Complete RWLC Valve and piping assembly. 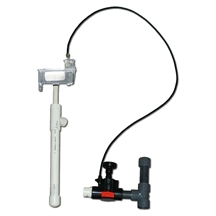 Float chamber, 2" static equalizer line, isolation cap and telescoping adjustment height level. Ship weight 3 lbs. 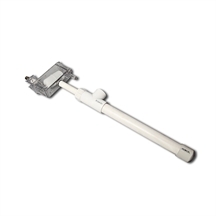 Plated brass, stainless steel and FDA approved plastic materials, polycarbonate reservoir, polypropylene float, adjustable stainless steel stem. Ship weight 1 lb. Durable, leak-free single-piece rubber diaphragm. 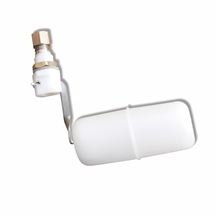 Rugged, glass-filled Zytel cap and body, mated to RWLC piping and fitting. Adjustable flow control. Ship weight 2 lbs. Durable, leak-free single-piece rubber diaphragm. 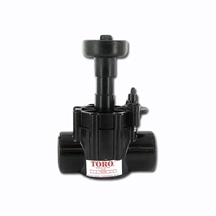 Rugged, glass-filled Zytel cap and body and self-cleaning, stainless steel metering pin Adjustable flow control. Ship weight 1.5 lbs. 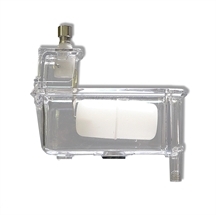 For use with Float Reservoir Float Assembly. Brass seat, polypropylene float and adjustable stainless steel stem for customizing water level. Ship weigh 1 lb. 1/4” O.D. 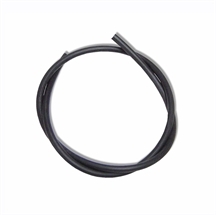 Black Bleed Tubing "PER FOOT"
1/4" Black Bleed Tubing for RWLC use. Connects to Diaphragm Valve and Float Chamber Valve. Ship weight 1 lb. 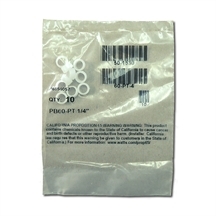 Replacement sleeves for use with RWLC Float Valve Assembly brass bleed tube connection. Ship weight .05 lbs. Complete RWLC Hydro assembly. 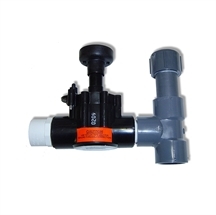 Float Valve Assembly, 1" Diaphragm Valve Assembly, and 1/4" bleed tubing. Ship weight 3 lbs.